Baby Talk When do babies talk? 2-word sentences at 2 years of age! 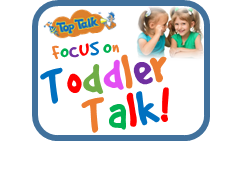 By monitoring early talking milestones from very young ages, you are more likely to identify if there are any signs that your baby might be at risk of presenting as a “late talker”. (link to late talker browse page). This means you can seek early intervention before problems associated with late talking set in. Let’s look at other ways of answering the question “What age do babies talk?”. What age do Babies talk? Baby Talk begins at Birth! In reality babies “talk” to us from birth! A broader definition of “talk” may relate to the age that babies verbally communicate with us. ​From the first cry babies are “talking” to you! ​Babies under 4 months talk to us by communicating with us with different types of cries and cute vocalisations. Parents get very tuned into what each cry might mean. There is “I’m hungry” cry versus “I’m in pain” cries for example. ​Sometimes at this young age “baby talk” is not 100% clear cut. We think they are hungry but then they don’t seem to want to feed? If we add in non-verbal talking (moving around a lot, going red in the face, grimacing) we can often take a better guess about what the babies are “talking” about! ​From cries we begin to hear sounds of contentment, cooing and gurgling, sounds of merriment such as laughing and experimental noises with their tongues and lips (raspberries, mumu type sounds). ​With the right input from parents and carers these sounds morph into words (Mumu & Dadda). There are early developmental milestones linked here showing the kind of speech sounds and noises we typically expect to see at each age in months. ​When do Babies Talk? When Parents Interact with them! If we take a further look at this question from yet another perspective, we would come up with a different set of answers again. How much and the quality of the input a parent and carer provides to children in the critical first 5 years of life influences when children start to talk.